A line up of french pottery at a store in Old Town Nice, Provence, France. 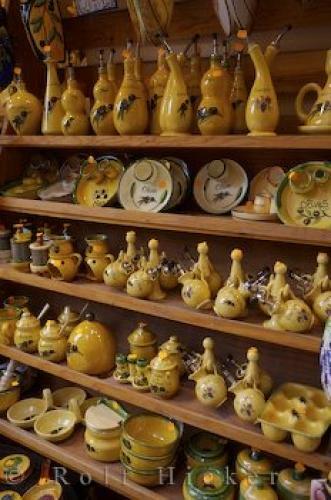 Pottery store in Old Town, Nice, Provence, Cote d'Azur, France, Europe. town of Nice, Provence, France.